Learn how you can improve the mortgage experience, today. How can the mortgage process be reinvented and demystified? How can it be made more efficient for lenders and more transparent for borrowers? What role can your loan origination software play in making these improvements a reality? In this free eBook from MortgageDashboard, author Jorge Sauri examines the challenges facing loan officers and how innovation in mortgage technology can address them. One thing is clear: mortgage companies who do not challenge conventional thinking will fall behind. 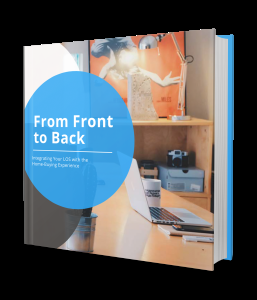 “From Front to Back: Integrating Your LOS with the Home-Buying Experience” will teach loan officers how to leverage themselves through technology and data, expose self-service capabilities and add transparency across multiple channels. Showing the importance of driving analytics and cross-selling through an understanding of customer behaviors and transactions, this eBook shows how lenders can begin improving the mortgage experience, starting today.